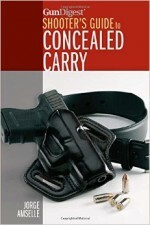 This is a very descriptive book that goes into detail of some of the greatest handgun manufacturers. 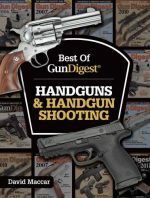 I've been around guns for over 25 years and still learned a few things about various gun manufacturers that I did not know. 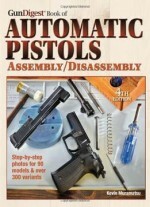 Very Informative and would highley recommend this book. MORE! 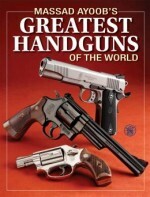 of the Greatest Handguns of the World From the Best-Known, Most Popular Handgun Authority in the World After the first edition of Greatest Handguns of the World, author Massad Ayoob cringed at leaving so many great guns on the cutting-room floor, and readers clamored for their favorites that didn't make the cut. 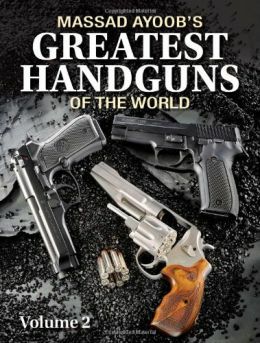 This companion volume picks up where Greatest Handguns of the World left off, covering more of your favorite handguns, including: Beretta 92 Bren Ten Browning High Power Colt Pocket Model Colt SAA High Standard Supermatic Mauser C96 Ruger Single Six SigSauer P226 T/C Contender Walther P38 And More! 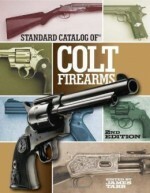 From the best handguns for concealed carry, self-defense and home protection to the world's best hunting and target handguns, Greatest Handguns of the World Volume II informs and entertains with insights from the world's most widely-read, acclaimed expert on the subject of pistols and revolvers.